This morning, the Man-Cub and I traded cars so that he could take my Tahoe into the shop to have a tire rotation done while I went to work. Despite the fact that his truck is similar to the Tahoe in many regards, driving it still felt foreign and slightly uncomfortable to me. Maybe it was the view. 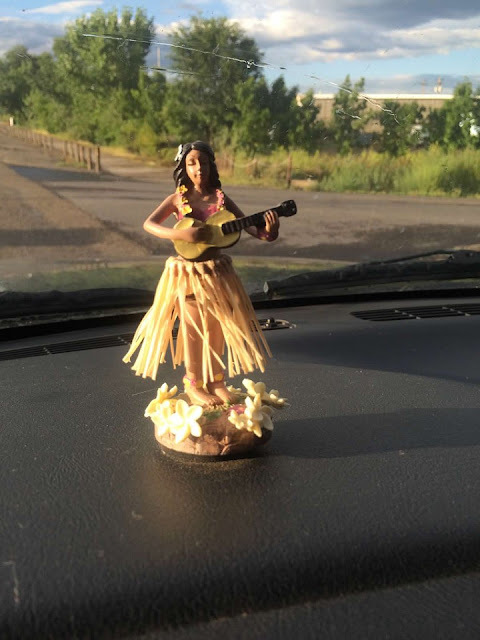 As an aside, the hula girl doubles as an air freshener. It does a passable job, because, I didn't smell like sixteen year old boy when I got to work. Where Would We Be Without Facebook? Oh, Hi! Did I Wake You?